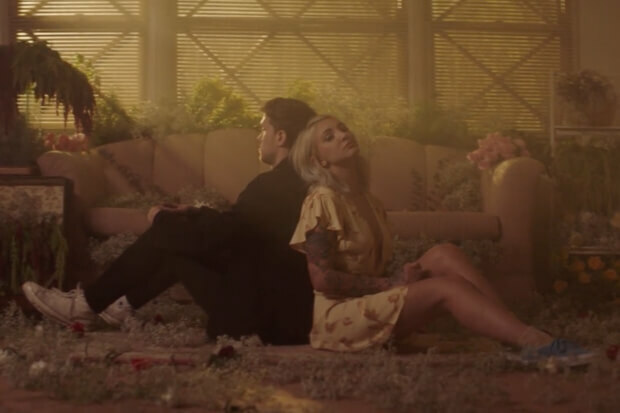 Julia perfectly illustrates that heartbreak in a newly released “lil baby vid.” Out today, it places her and a partner in a flower-strewn apartment where they appear to be haunted by memories. Although the warmth of their relationship seems to have cooled, they still cling closely to one another. The 25-year-old delivers some truly soul-crushing looks and perfectly captures the difficulty of letting go. Of course, the only thing missing from the video is Niall. It is possible that they have another treatment in mind, hence the “Issues” siren referring to it as a “baby vid.” Another possibility is that this is meant to get us primed for an “Anxiety” release. With nearly 9.5 million Spotify streams, the relatable anthem is rumored to be the EP’s next single. Either way, Julia’s latest is still more evidence of her star power. Grab a couple tissues and dive into the emotional video below!